First let me say that this is one of those recipes that you can serve and no one, I mean NO ONE will know that it is gluten free. It is ah-mazing. 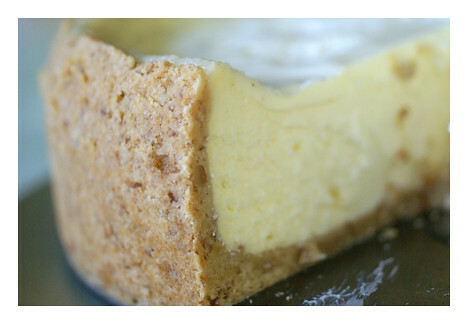 Spray cheesecake pan lightly with olive oil spray or Pam. In a medium bowl stir together the flour mix and brown sugar. Cut in the butter until fine crumbs form. Stir in the nuts and pat into your pan. The crust will be “crumbly” but will hold together once pressed into the pan. This will be more than enough for one large cheesecake and perhaps for a second smaller pie. Though it tastes so good on it’s own you may just end up eating it! Mix all of the ingredients with a beater until smooth and pour into the unbaked crust. Place in preheated oven for 30 minutes. Mix the topping ingredients in a bowl. 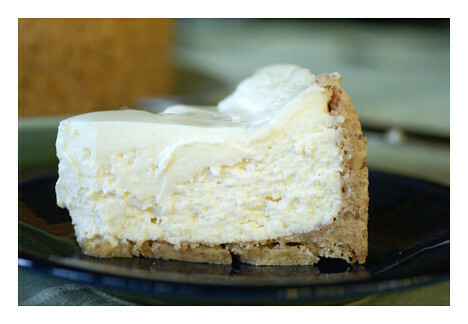 After the first 30 minutes of baking, remove the cheesecake and spoon the topping onto the cheesecake. Be careful not to overfill the pan. Return the cheesecake to the oven and bake for an additional 10-20 minutes. You may want to place a piece of foil under the cheesecake just to catch any drippings. Cooking times can vary dramatically depending upon the amount of topping you choose to use. Watch to see when it starts to solidify but don’t let it stay in so long that the crust begins to burn. This recipe is easy to make and incredibly scrumptious, I promise.